If you’ve ever used Eventbrite you’ll know that it is a fantastic way to advertise and sell events not only to your own customers but also to a much wider audience too. It also has a user friendly admin section for creating your events with lots of handy tools to ensure that you get the right configuration for your event and your ticket options. However, if you have a lot of ticket options, for example, numerous dates, costs, or other variations it can be difficult to make it clear for people to decipher from a long list which ticket they need. This sneaky cheat allows you to add your own headings between ticket types, breaking up the list and making it more user friendly for your customers. 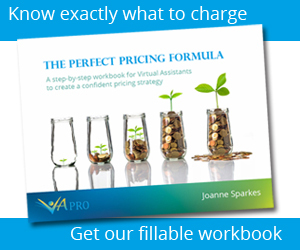 It works by adding a heading using some HTML code – and it’s really very simple! Even if you’re not so familiar with basic HTML, I promise you’ll find this really easy to do, simply follow the steps below. First, you need to go through the event set up process, and add all of the ticket options you need for your event. Next you need to add a ‘Free Ticket’. Do this by clicking ‘Free Ticket ‘ from the setup page as shown below. For the next step you need to copy and paste the code below into the Free Ticket Description box and ensure that you enter 1 in the free ticket quantity. 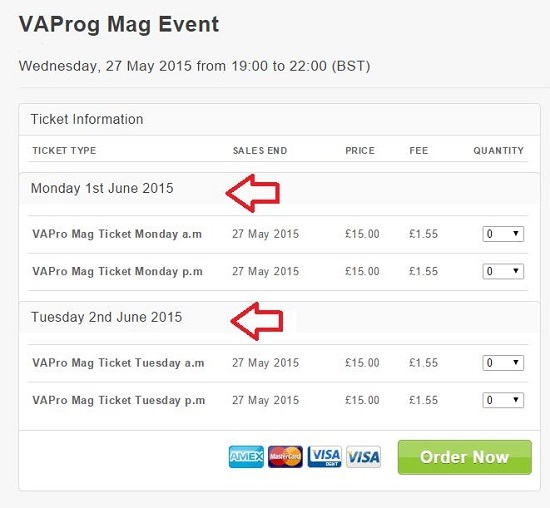 Note: the code below will add a section heading titled ‘Monday 1st June 2015’. You can call your heading whatever you need it to be, simply delete the text highlighted in blue and replace with the title of your heading, and that’s what it will display. 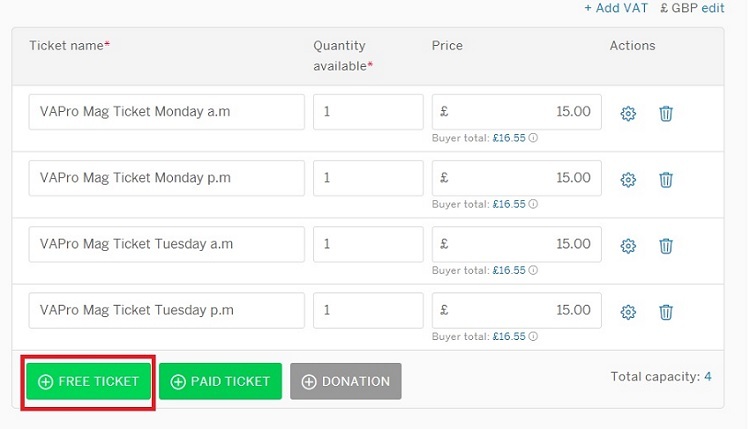 To move your header into the right place, in this instance I want mine at the start of my tickets, you hover over the ticket listing on the left and when the dots appear you can then drag your heading into place. Nice post I found it very useful and have a go with it. Do you have any suggestion to solve point 2 and 3 ? Hi Roberto, thanks for your comment, I’m very glad that it was useful. I’ve just checked this out, and it appears that a recent upgrade to the interface of Eventbrite has stopped this from working the way that it used to which is why the heading doesn’t seem to show. So sorry about that. I’ll take a look for you and see if there’s still a way to accomplish this. Also, just in answer to the comment about the quotation mark, this appears to be a formatting error when copy and pasting from this web page. The way around it is to paste the code into Notepad or Text Editor first, then copy and paste from there into Eventbrite. I’ll hopefully be back in touch soon with a solution, and will update the article when I’ve found it! Custom Formats Part 1: Display numbers however you would like!